Foremost among them was Benito Arias Montano—Spain’s most prominent biblical scholar and exegete of the sixteenth century. He was also a widely read member of the European intellectual community, and his motivation to reform natural philosophy shows that the Spanish Disquiet was a local manifestation of greater concerns about Aristotelian natural philosophy that were overtaking Europe on the eve of the Scientific Revolution. His approach to the study of nature framed the natural world as unfolding from a series of events described in the Book of Genesis, ultimately resulting in a new metaphysics, cosmology, physics, and even a natural history of the world. 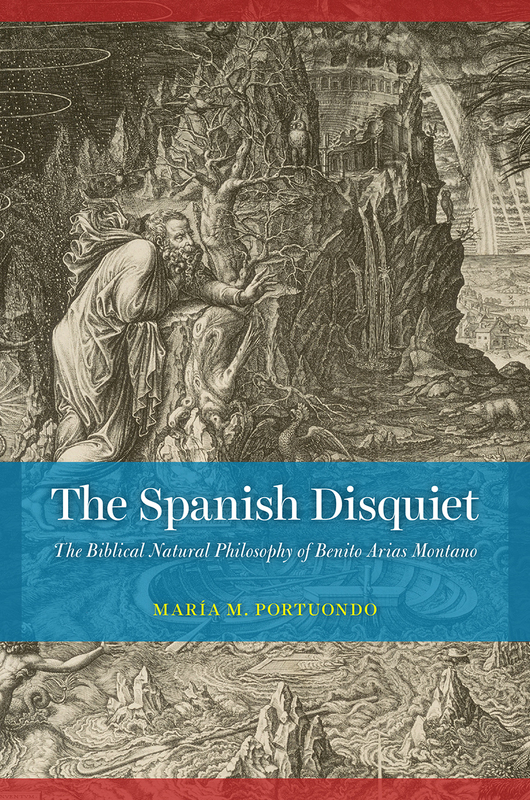 By bringing Arias Montano’s intellectual and personal biography into conversation with broader themes that inform histories of science of the era, The Spanish Disquiet ensures an appreciation of the variety and richness of Arias Montano’s thought and his influence on early modern science. "As erudite as Joseph Scaliger, as inclined to reform natural philosophy as Francis Bacon, as encyclopedic as Athanasius Kircher, and as interested in biblical exegesis as Isaac Newton, Benito Arias Montano, librarian of Felipe II and editor of the Antwerp Polyglot, was a key figure of Renaissance humanism. This essential book opens up to us his Magnum opus, whose epistemology falls between empiricism and Hebrew philology. María Portuondo restores Hispanic culture to its place in the republic of letters and sheds light on an age of uncertainties, disquiet, and shadows, that is to say, a period of sharp inquiries into the Book of Nature and audacious attempts to reconcile it with the Sacred Scriptures." "Only a dexterous philologist and a keen observer of nature could unravel the mysteries of creation already contained in biblical accounts. The polymathic Arias Montano produced a new Mosaic natural philosophy from scratch, away from the many ancient systems European humanists had revived. Like her subject, Portuondo radically shifts the ground, offering a strikingly novel interpretation of early modern Spanish science as relentlessly innovative and radical."